Your homeschooling high schoolers should build their confidence in their literature & composition skills. If they have not had much experience with literature guides and high school-level writing, Introduction to High School Literature & Composition: Part A is a great place to start! This one-semester guide (easily followed the second semester by Introduction to High School Literature & Composition: Part B), will guide your high schooler to solid language arts skills. The literature & composition guides included in this downloadable text will inform and inspire your homeschooling high schoolers without boring or burdening them with busywork. Literature guides contain brief background information, important literature terms and themes, vocabulary and comprehension questions; NEVER enough to kill your teens’ enjoyment of the book. Composition guides contain concise 15 minute daily lessons that teach half of the writing skills needed in first year high school (or advanced 8th graders). The lessons contain brief information and instruction and assignments. Rubrics for grading are included. Both the literature guides and the writing guides are good for self-instruction, as well as family or co-op classes. Give your homeschooling high schooler some non-threatening but powerful tools for literature reading and writing. Download Introduction to High School Literature & Composition: Part A today! 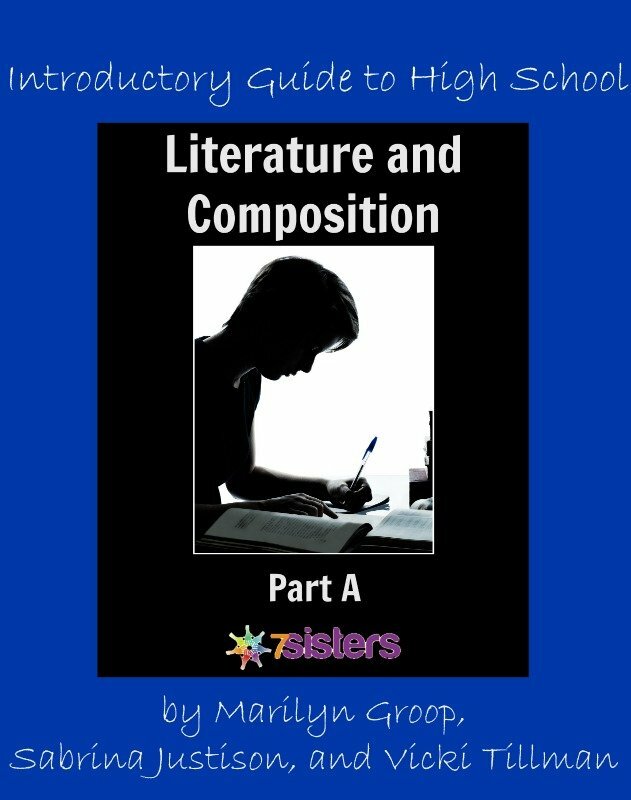 Click here to view an excerpt from Introduction to High School Literature & Composition: Part A.